PPC is paid media that sits at the top and bottom of Google search results pages (SERPs). PPC ads appear when people search for certain keywords, and they ideally link to content on your website that provides the information searchers are looking for, making your ads both relevant and timely. Like SEO, PPC is contextual. It targets the keywords your intended audience is searching for as they search for them. Unlike SEO however, it doesn’t require long-term optimisation of your website’s content to reach the first page of Google results. Instead, your ads will appear immediately alongside search results, making it an effective, short-term strategy that can be refined as you test various settings and keyword options. Keywords are the lifeblood of any PPC campaign. There is a lot of detective work to be done to find and prioritise the best possible keywords that also carry decent search volumes and prove relatively easy to rank for. i. For initial SEO keyword research, which can also be applied to PPC keyword research, they recommend using tools such as AdWords, Ubersuggest and Keyword Tool and SEMRush to generate keyword suggestions. ii. They then advise drilling down on your specific marketing objectives, in order to develop a content strategy geared at all stages of the buyer’s journey and different target audiences, such as potential customers or influencers. iii. It’s then time to get data-driven. Compare search volumes, difficulty in ranking, clickthrough rates and importance (to you). In order to score each keyword using a metric they call ‘potential’, they suggest using an algorithm you designed yourself, or using the one Keyword Tool came up with, for example. iv. The last step is your content plan and assembly. Your PPC ad copy is going to be crucial in getting people through to this content, but ultimately it’s your remarkable content that will need to convert people once they’re on your website. 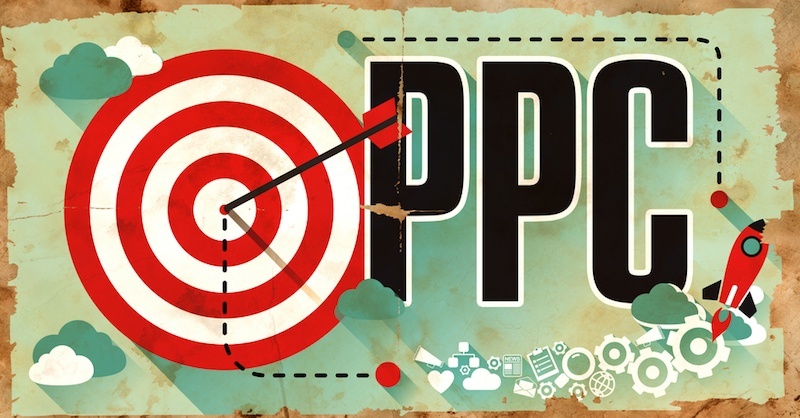 PPC and SEO can help each other. With a combined PPC, SEO and content strategy, you can start crafting the right kind of content to maximise conversions. According to Search Engine People, by complementing your SEO strategy with PPC ads you can boost your web traffic up to 96% if your site ranks #5 or lower organically. Because PPC campaigns deliver insightful data immediately, they can help inform your wider inbound marketing strategy. Use your successful PPC keywords as your SEO terms, and your best performing ad copy on your landing pages. Armed with the knowledge of what your audience is searching for, you can start crafting more of the right kind of content to maximise conversions. It’s a good idea to structure your campaigns and ad groups in a logical fashion, such as a mirror of your website’s structure. You can gear campaigns toward your various products or services, and link the ad to the corresponding page on your website. Alternatively, you could segment your campaigns based on geographical location, device or match type (broad match, phrase match or exact match). When writing ad copy, just like when writing content, you should think of your buyer personas. Your choice of tone and language should reflect what resonates most with them. Just as importantly, your ad copy needs to be crafted around the keyword query you’re targeting; keep it relevant to maximise your clickthrough rate. Consider what stage of the buyer’s journey your keywords are most appropriate for, and reflect this in your ad copy as well. To measure and optimise ad copy, A/B test different variations and see what performs best. Metrics to measure are clicks, clickthrough rate, CPC, total cost, conversion rate and CPA (cost per acquisition). Adjusting your PPC settings helps you better target your ads to specific networks, devices, languages and locations. It also allows you to set daily budgets for your campaign, which you could split evenly between your campaigns at first, and then reallocate them as you move through the your campaigns’ duration. You can also alter ad rotation, which you can set to optimise for clicks, conversions or both on rotation, and ad delivery, where you can opt to A/B test different ad copy by setting ads within the same ad group to alternate and be shown evenly. Goals should be something you define early on in the process, but you should keep coming back to them to gauge your performance and to refine them when necessary. Whether your primary goal is to increase site visits, maximise your SERP visibility, beat your competition or meet a target return on investment, you can A/B test ads, tweak your settings until you find your sweet spot in terms of ad rank, and make use of automated bidding to help eliminate the guesswork from your campaigns. This doesn’t mean you shouldn’t experiment with manual bidding as well, by setting maximum CPCs and separate bids for individual keywords based on their performance and profitability. AdWords and Google’s Search Network are ever-changing entities. In February 2016 for example, Google changed the long-standing way PPC ads appear on desktop results pages. Now, no text ads are served on the right sidebar of the search results on desktop. Google shows four text ads instead of three in the area above the organic listings for what it calls "highly commercial queries", and three text ads will show at the bottom of the SERPs. This means a maximum of seven ads will appear on a SERP.